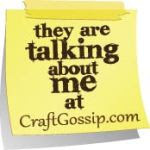 May Arts/Xyron/Little Yellow Bicycle Blog Hop and Giveaway! 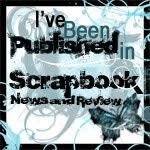 Blog hop begins....today!! 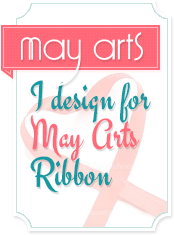 Be sure to visit the May Arts Ribbonistas each day as well ad the Xyron and Little Yellow Bicycle sites for fun inspiration and prizes. 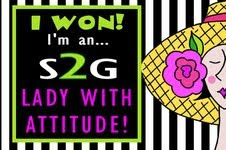 There will be a grand prize at the end of the hop! 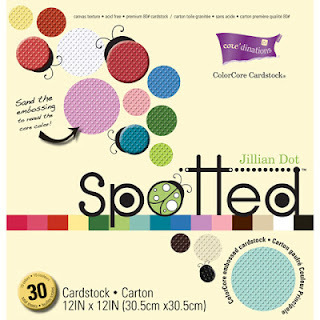 Want to see what I created with these fun colors? Head over the May Arts Blog today for a fun ribbon tutorial! When I was a kid, time passed much too slowly...now it rushes by without waiting for me to catch up. My grandson is 8 years old today. It seems only yesterday he was all warm, sweet smelling and cuddly. Now, baseball, basketball, and football, climbing into his tree house, chasing his dog...and annoying his sister leave him all warm, smelling like a boy and thankfully, still cuddly. If you've been wondering about my absence it's because I'm moving my studio into the bigger office area in our house. DH has graciously offered to sacrifice his big desk to the consignment store and all the books are being donated so that I can take over the shelves. Before that happens, there are walls to paint, I want to paper the backs of the shelves and then...the MOVE. Stacks of paper, piles of ink, boxes and boxes of stamps and ribbon...oh so much lovely ribbon to find a new space for. Time passes and I'm still running to catch up. Summer's here and that means lots of memories to be recorded for that back to school assignment..."What I did on my summer vacation"! Head on over to the May Arts blog for a cool idea for girls..stay tuned for a boy version coming soon! Be sure to head to the blog to see the cool cover and the rest of the notebook! Happy Summer!! It's time for a whole week of super inspiration with May Arts Ribbon, Core'dinations and Stampendous. The design teams have partnered to bring you not only amazing projects but fantastic giveaways as well. Each day this week, 2-3 of the designers from each team will be bringing you projects and a chance to win some awesome prizes. All you have to do is comment to win! I'm up first today so here's my project! One of my most favorite things to do is altering tins. 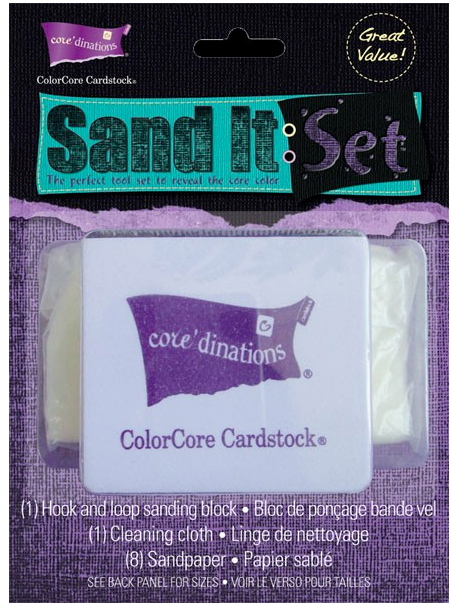 I combined our beautiful May Arts ribbons, with Core'dinations Ebony and Ivory Collection Cardstock (no white core!) 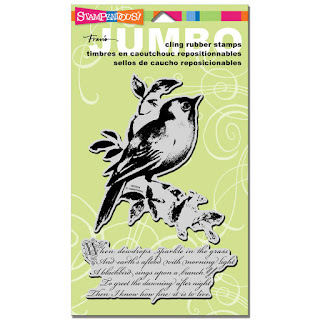 and the Stampendous Encrusted Pink Jewel Kit ( LOVE this!) to create this sweet little gift. I used Scor-Pal Scor-Tape to cover the outside of the tin and the lid. I wrapped the base with May Arts Faux Lightweight Canvas in black, then I wrapped May Arts new 3/8" Crochet lace trim around the lid. Next, I used Spellbinders Circle dies to create a liner for the inside and top using Core'dinations cardstock. I lightly sanded the edges of the top circle with the Core'dinations Sand It tool; then attached both with more Scor-Tape. Now for the that beautiful peony! 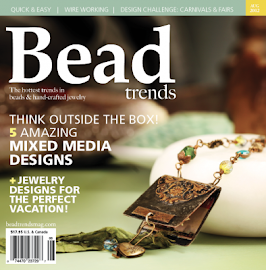 I created it using the new Sizzix Peony die and that gorgeous Core'dinations cardstock. After cutting the petals, I lightly sanded the edges of each one before shaping and gluing them together. After the flower was assembled, I used a Versamarker pen to trace along the edges of the petals then sprinkled some Stampendous Shabby Pink embossing powder over the flower. I shook off the excess and heat embossed. Then I ever so lightly spritzed the bloom with spray adhesive and shook some Stampendous Champagne Glass Glitter over the flower for more subtle sparkle and shine. I covered the leaves that come with the peony die with May Arts new Jumbo Leaves. 3 small black pearls are glued in the center of the flower. The tag was cut from Core'dinations cardstock, the edges were lightly sanded then stamped with Versamark ink using the birthday sentiment from Stampendous Happy Messages. I heat embossed the sentiment using more Stampendous Shabby Pink Embossing Powder. I tried to capture the tiny sparkles that make my heart go pitter pat. I ran the edges of the tag in my Versamark pad, then heat embossed with more Shabby Pink Embossing Powder. 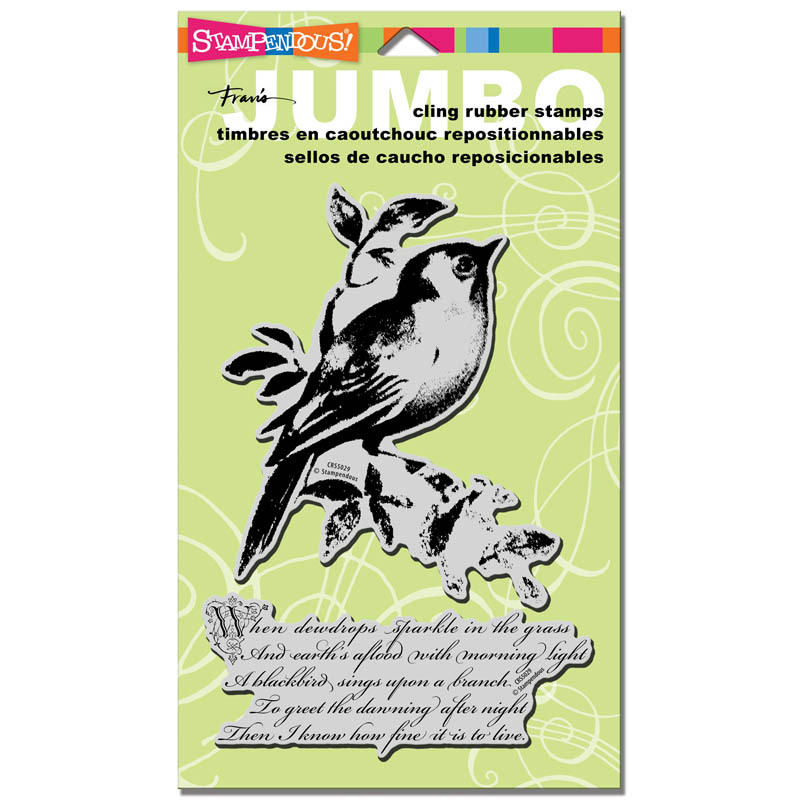 The little bits of embossing powder are intentional. I wanted my tag to look lightly distressed and shabby. Everything was attached to the lid with more Scor-Tape. Now the tin can't be given empty so I created a beautiful May Arts Pink Velvet bookmark to go on the inside. 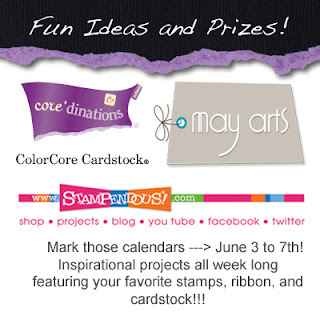 I hope I've inspired you to get creating with May Arts Ribbon, Core'dinations, and Stampendous! Want to know what you can win for leaving a comment each day this week? Here's a peek. 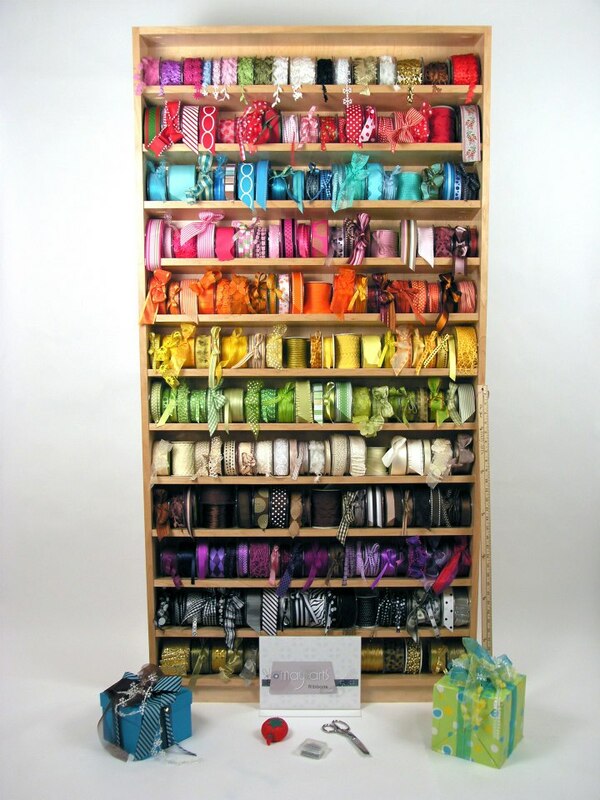 First up - ANY 2 rolls of your choice of May Arts Ribbon! Now, here's the line up for the week. Don't forget to go to the Stampendous and Core'dinations Blogs each day as well.